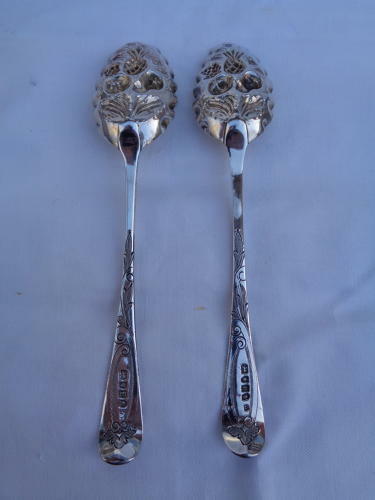 Fantastic Pair of Antique Solid Silver Berry Spoons. Hallmarked London 1797 & 1800. Together they weigh 111grams & Measure 22cms in length.